Are you sick and tired of feeling ‘flawed’ or maybe even worthless? Have you experienced fear of abandonment at any point in your life? Do you finally want to say goodbye to unhealthy relationships and self-harming behaviors and discover something that works for you? If so, then you’ve come to the right place. 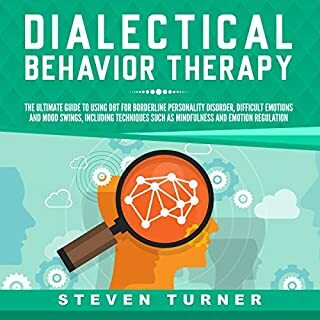 Dialectical behavior therapy is a somewhat new research and evidence-based therapy that is recommended by many who are suffering from borderline personality disorder. 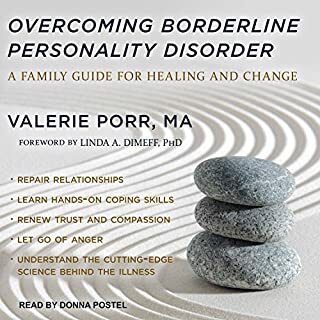 Overcoming Borderline Personality Disorder is a compassionate and informative guide to understanding this profoundly unsettling - and widely misunderstood - mental illness, believed to affect approximately six percent of the general population. Rather than viewing people with BPD as manipulative opponents in a bitter struggle, or pitying them as emotional invalids, Valerie Porr cites cutting-edge science to show that BPD is a true neurobiological disorder and not, as many come to believe, a character flaw or the result of bad parenting. Kiera Van Gelder's first suicide attempt at the age of 12 marked the onset of her struggles with drug addiction, depression, post-traumatic stress, self-harm, and chaotic romantic relationships - all of which eventually led to doctors' belated diagnosis of borderline personality disorder 20 years later. 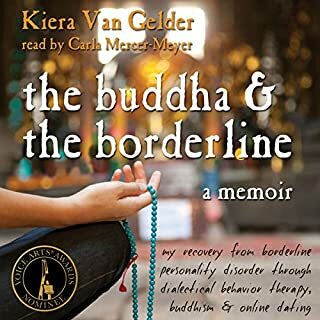 The Buddha and the Borderline is a window into this mysterious and debilitating condition, an unblinking portrayal of one woman's fight against the emotional devastation of borderline personality disorder. Borderline Personality Disorder. "What the hell was that?" raged Rachel Reiland when she read the diagnosis written in her medical chart. As the 29-year old accountant, wife, and mother of young children would soon discover, it was the diagnosis that finally explained her explosive anger, manipulative behaviors, and self-destructive episodes- including bouts of anorexia, substance abuse, and sexual promiscuity. In this unique collection, individuals of all ages and stages share their experiences with Borderline Personality Disorder (BPD). 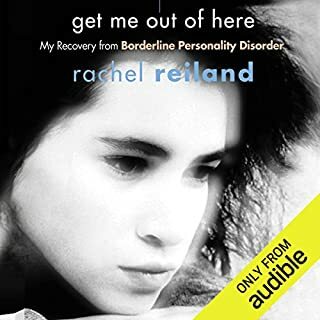 Within this audiobook, you'll find an honest portrait of what it's like to live with BPD, from the perspective of people with BPD and their loved ones - spouses, siblings, and parents, as well as mental health professionals. One of the best BPD books I've read. Are you or your loved one suffering from Borderline Personality Disorder? Do your mood instabilities affect your daily functioning, behavior, and relationships? Are you looking for a solution to controlling, managing, and reversing the effects of BPD? This book is about to change all that for you. The key to getting BPD under control is to recognize and accept the reality of the problem. Your emotions unleash at any time. The relationships around you often result in devastation. Your life feels like a chaotic mess. Don't let the trauma of your past delegate your future. Your BPD symptoms or traits can set you up for more pain, agony, and failure if you don't control them now. Your BPD experiences, stress, trauma, and diet can set you up for the devastating disability called multiple sclerosis. Take back control of your life today. Your health and your sanity depend on it! We will show you how. Do you feel manipulated, controlled, or lied to? Are you the focus of intense, violent, and irrational rages? Do you feel you are "walking on eggshells" to avoid the next confrontation? Here's help. How to Survive Borderline Personality Disorder (BPD) is an inspirational and insightful look at a topic that is often much misunderstood in today's society. This book offers knowledge and hope to the listener. The author discusses coping methods, and she uses her own personal struggle with the illness as an example of how to overcome BPD. Author Stephanie Anne Allen has educational, professional, and extensive personal experience when it comes to this disorder. 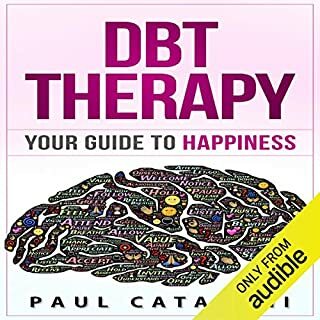 This audiobook has been put together in order to unveil two of the most successful ways of treating mental illnesses and different conditions. These treatments - known as cognitive behavioral therapy and dialectical behavior therapy - have become a hit around the world because of how many people they've helped. Expanding on the core skill of dialectical behavior therapy (DBT), Mindfulness for Borderline Personality Disorder will help you target and successfully manage many of the familiar symptoms of BPD. Here, you will learn the basics of mindfulness through specific exercises and will gain powerful insight through real-life stories from people who have BPD. If you are ready to take that first step on the path toward wellness, this book will be your guide. As a therapist, I have recommended this book to my clients. It gives hope to people w BPD for ways to practice to lessen/end their suffering. This book gives real life examples from real people w BPD and how these techniques have worked for them. This is not a "quick fix". It takes practice and determination. It describes the techniques in a clear understandable manner. These techniques build upon each other. If you listen/read this book all the way thru, don't become overwhelmed. Remember it is a process that takes time and practice. I would recommend reading it thru one time, then come back and go thru and practice taking each chapter/techniques one at a time. Practice it till you feel comfortable before moving to the next chapter. I listened to this book read by Laura Copland on my 30 min drive to work in the morning. She does an excellent job. Her voice has good variable pitch and rhythm. She reads at a good rate; not too fast and not too slow. She expresses emotion when needed but does not over do it. I've listened to previews of other books I would like to hear while driving but the reader's voice was monotone or their voice was too exaggerated. Laura Copland's voice kept my attention, but I was focused on the content and not her voice. Very practical, helpful information. Good for everyone not just those with BPD. I wish it had a different title as I'd like to recommend to others but worried that it may offend. I surprisingly enjoyed this. It combined elements of Buddhism to help those manage their Borderline Personality Disorder. i recommend this book to anyone struggling with BPD. its very helpful. it does give lots of info on BP and teaches how to use mindfulness. Life changing. 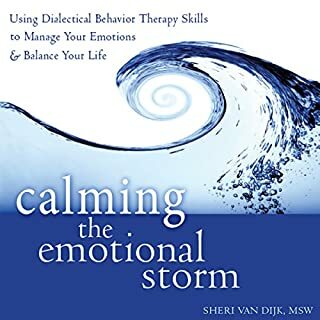 Everyone who even suspects BPD should read/hear this book. It's really essential. This book helped me so much! I have battled BPD as long as I can remember. It uncovered and explained a lot about it. It gave great tools to live a great life inspite of this disorder. Well written book and I will continue to listen! l loved it! I'm even buying myself a copy. Clear and to the point summary of BPD, and instructions of various mindfulness exercises that seem relevant and helpful (have only started the practices). No fluff. Great book about DBT and mindfulness. this book was very helpful to learn meditation skills to help with mental health issues. 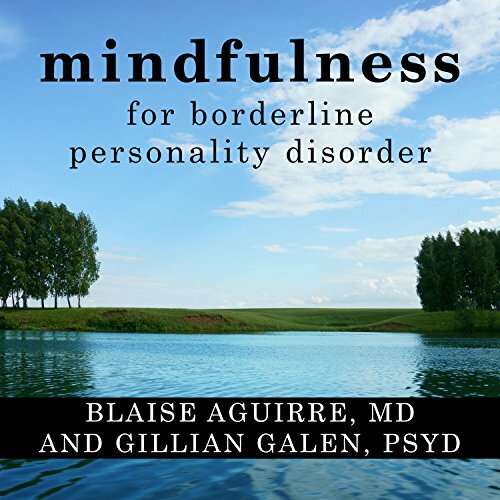 Would you consider the audio edition of Mindfulness for Borderline Personality Disorder to be better than the print version? I've never read the print version, but I appreciate the audio version for when my mind is too riled up to focus on a printed book. The authors provide several useful acronyms and exercises, which are particularly useful when trying to remember skills in an emotionally heated moment. My favorite exercise is ride the wave, which provides an acronym to remember the steps required to ground oneself when prone to dissociation. No, I wanted to take breaks to practice the exercises as I read about them. What did you like most about Mindfulness for Borderline Personality Disorder? As a Psychiatrist myself I would say that this is a book that I have read and recommended to many of my patients, and to great benefit. Well worth every penny. A must read for all mental health clinicians and life changing for those distressed by difficult emotions. I have used mindfulness in the past and it works. I just need to remind myself often.